Have you considered taking a Bergamo weekend? You may be wondering: are there enough things to do in Bergamo Italy to justify a weekend city break from Dublin? 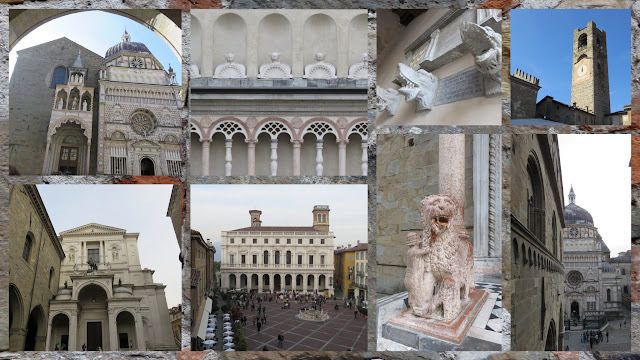 Go to Bergamo for a dose of sun, stunning architecture plus excellent food and wine. What better way to spend the Irish October bank holiday? Bergamo Città Bassa has all the amenities of a modern Italian city and Bergamo Città Alta (Bergamo’s Old Town) will enchant you. We discovered 17 things to do in Bergamo to justify a weekend city break. Read on to discover Italy’s underrated charms with a weekend in Bergamo. Ever since we moved away from the U.S., the allure of unbridled consumerism has faded. Now, we shop but only if we have a particular goal in mind. Italy is known for style and I was in need of a new pair of glasses. 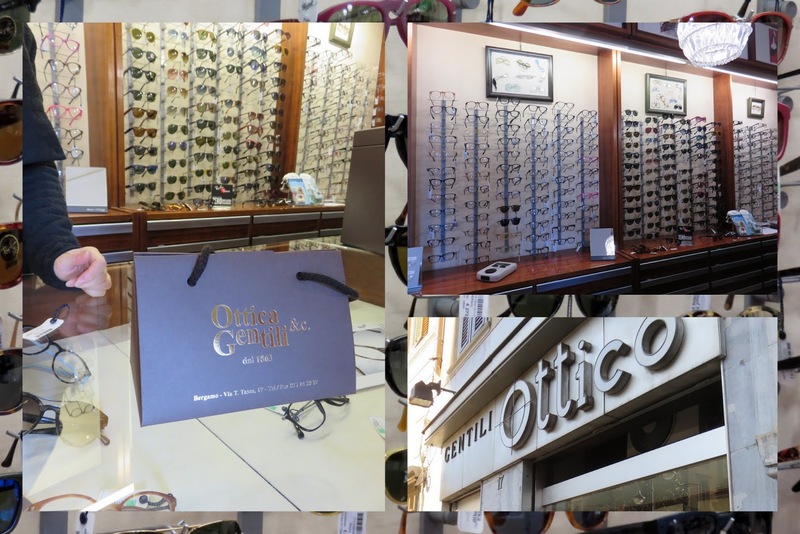 We soon discovered that the streets of Bergamo are lined with several stores selling a wide array of the latest in optical fashion. I picked up a new pair of sunglasses on our Bergamo weekend and can rest assured that I'm unlikely to encounter this pair back home in Dublin. 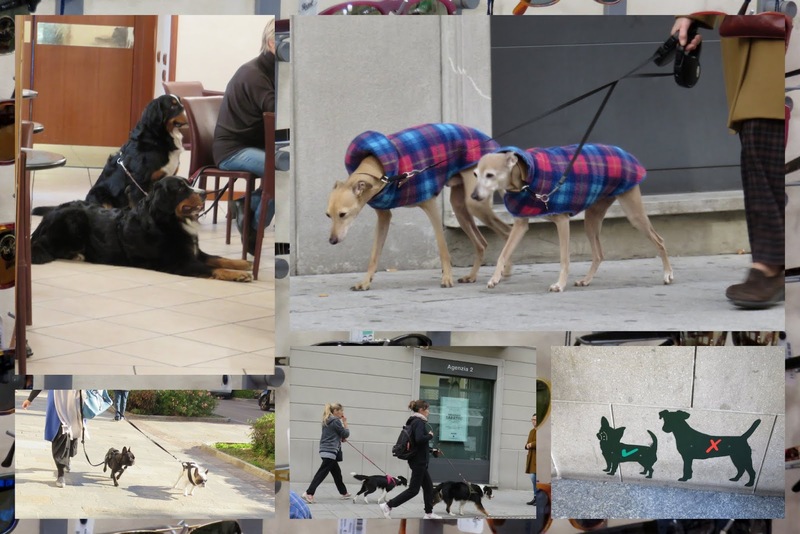 The residents of Bergamo seem to love dogs, so much so that they tend to come in sets! We enjoyed seeing pairs of pooches (some dressed as fashionably as their owners) walking the streets and lounging around the local cafes in both Bergamo's Città Alta and Città Basso. Coffee is an institution in Italy and Bergamo features an array of stand-up cafes for a quick espresso combined with something sweet. On a weekend in Bergamo like this one, it's important to stay energized and a quick espresso is just the trick. 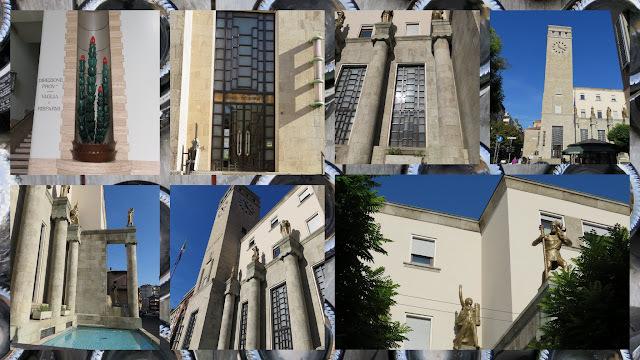 Bergamo features a stunning array of Art Deco buildings in the Città Bassa. The post office in particular deserves a peek inside on your weekend city break. Getting there is half the fun! 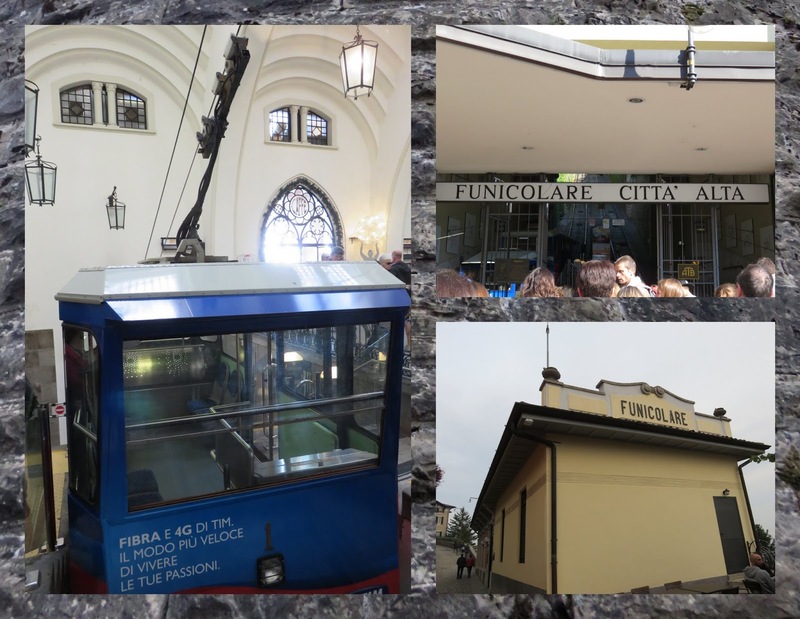 A funicular connects the lower and upper parts of Bergamo offering lovely views on the ride up. 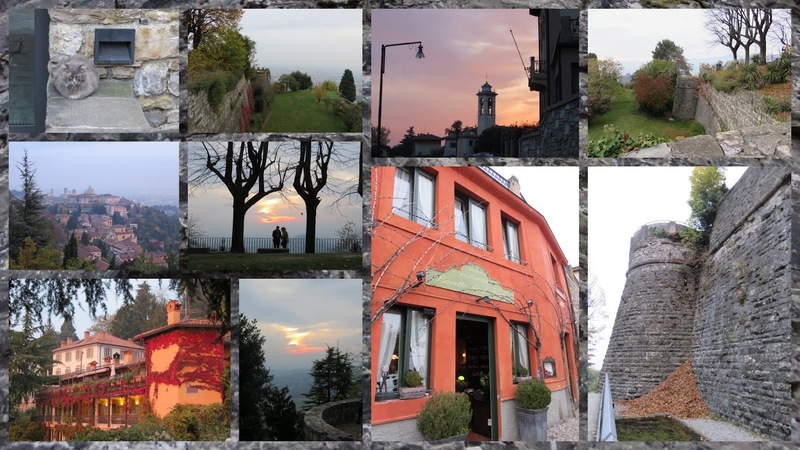 Take some time to explore the Citta Alta on your Bergamo weekend. 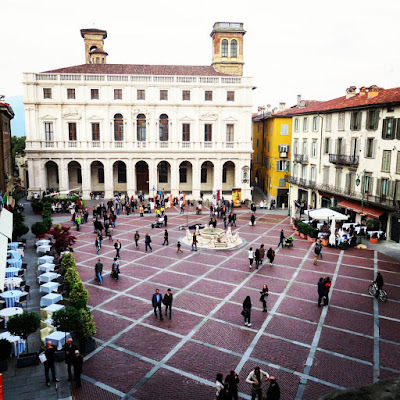 Piazza Vecchia is the beating heart of Città Alta in Bergamo. The square is lined with historic buildings and quaint cafes to while away a weekend. It's easy to feel transported back in time. 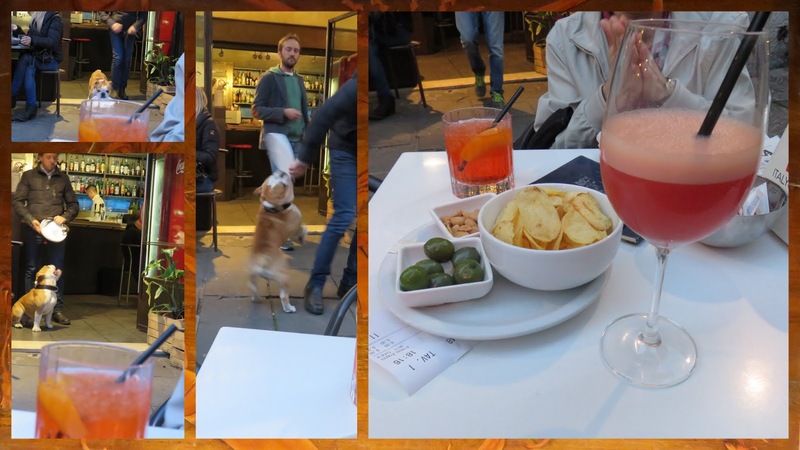 Having a drink and people watching on Piazza Vecchia was a highlight of our weekend in Bergamo. The restaurants in Bergamo often feature midday specials even on the weekend. 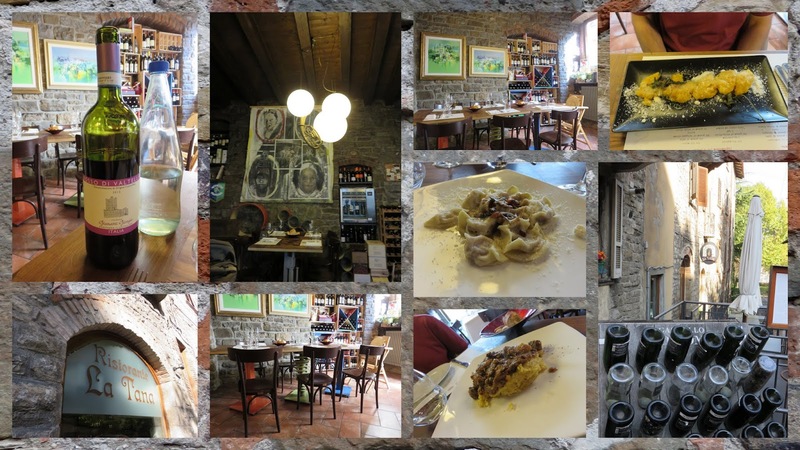 We enjoyed sitting down at Ristorante La Tana for a two course meal (featuring homemade pasta, of course!) and a bottle of wine. Situated on a hill, the sweeping views over the surrounding countryside make Bergamo's Città Alta a must see destination on a weekend break. We were surprised to find numerous stores in Bergamo touting fashion deals where everything in the store cost only 10 EUR. We also discovered that residents of the city seem to favor puffy coats to stay warm. 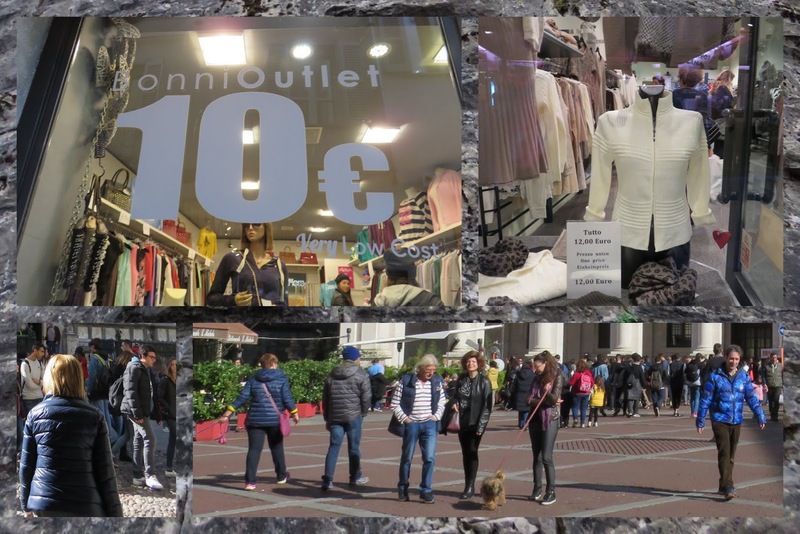 On our Bergamo weekend city break from Dublin, we had fun counting the number of people wearing puffy jackets. The representative group that we sampled seemed to be about 25% clad in puffiness. Fascinating. Bergamo features pedestrianized cobbled streets. We were delighted to discover a harpist serenading passersby in the Città Alta. Italian churches are generally stunning and Bergamo's churches are no exception. 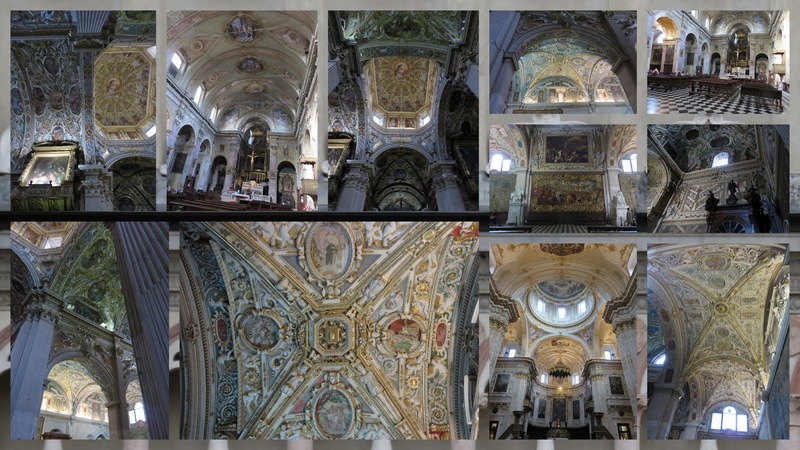 We marveled at the interiors of the houses of worship dotting Piazza Vecchia on our weekend in Bergamo. 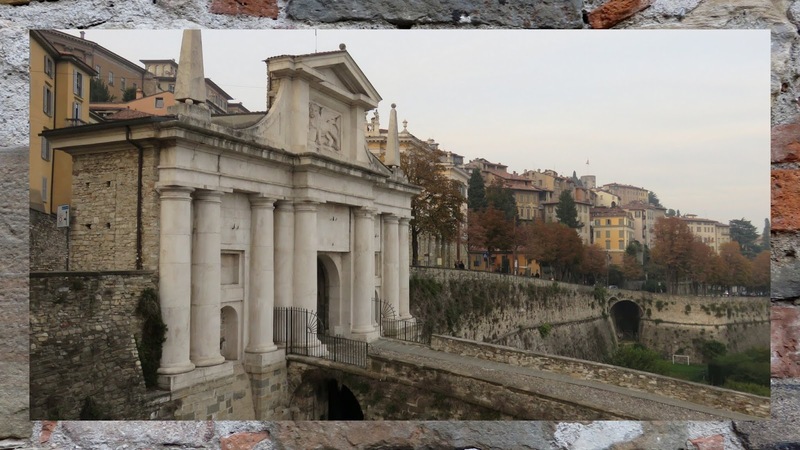 Bergamo's Città Alta was fortified in the past and the city still features a number of gates leading into town. 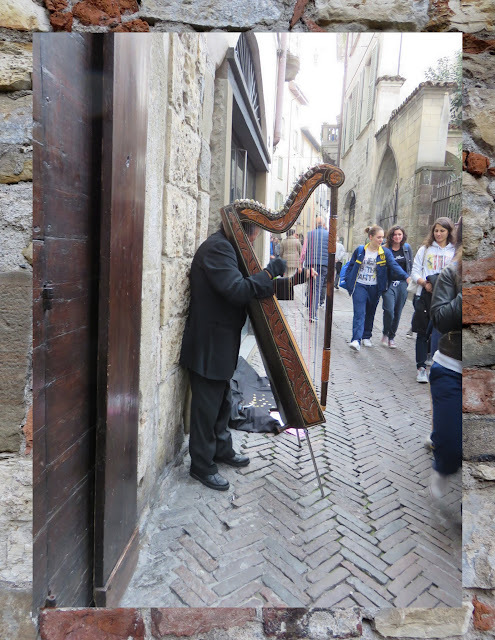 It's fun to stroll through the gates over the weekend and imagine what it must have been like for medieval merchants as they approached Bergamo. No trip to Italy is complete without aperitivo taken al fresco on a square. We sat out on Piazza Vecchia with our drinks and light snacks. People watching at aperitivo time is always the best and I really enjoyed watching this frisky bulldog chase a frisbee nearby. So much excitement on our weekend in Bergamo! 14. 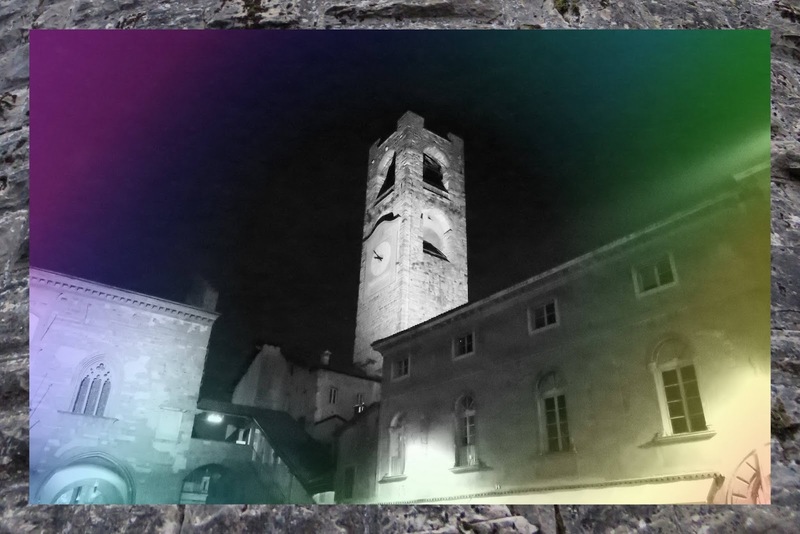 Abide the Curfew in Bergamo! At 10 pm every night in Bergamo, the bell in the ancient bell tower rings 100 times. This practice dates back to the 13th century when the bells would signal curfew time far and wide. Bergamo would be locked up tight when the bells stopped tolling so those outside the town walls needed to high tail it back to the gates or risk being locked out for the night. The bells were appropriately foreboding. I've never heard anything like it. 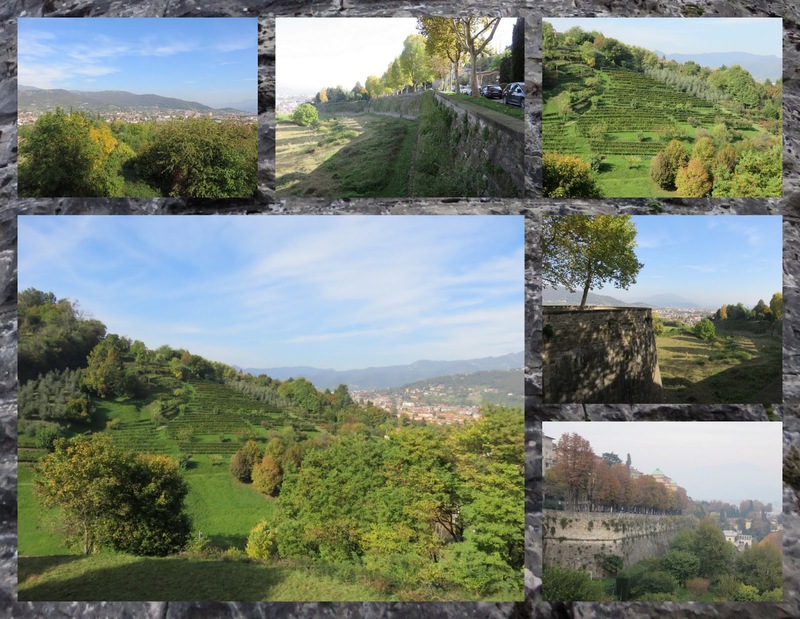 The Castle ruins of San Vigilio are easily accessible via another funicular ride up from Bergamo's Città Alta. Arriving at sunset, the ruins were rendered even more atmospheric by the pink and orange October sky. In Bergamo, they are serious about pizza. 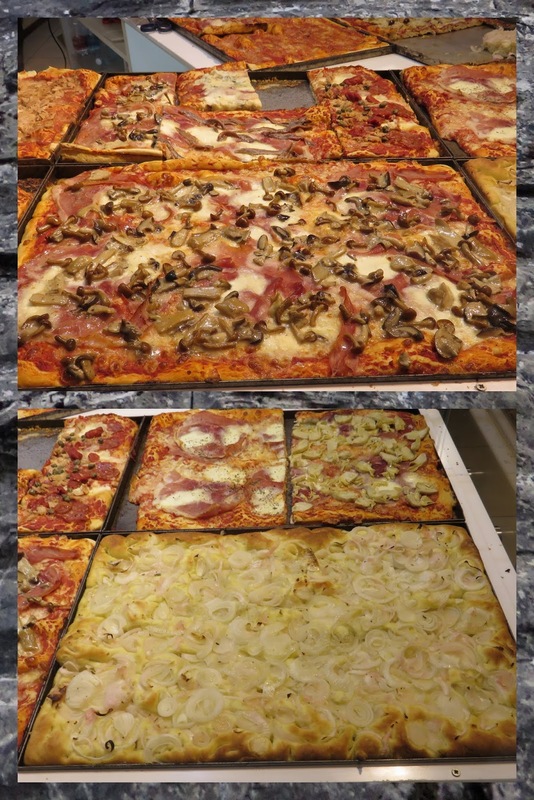 We saw huge rectangular sheets with a wide array of toppings on our weekend city break. Want to know the most awesome part about pizza in Bergamo? The pizza slices are cut with scissors for maximum efficiency. Genius! Bergamo is located just a short train ride away from the Italian Lakes region including Lake Como and Lake Iseo. In less than an hour, we had arrived in Lecco. We took time to explore the weekend arts and crafts market before embarking on a stroll along serene Lake Como. 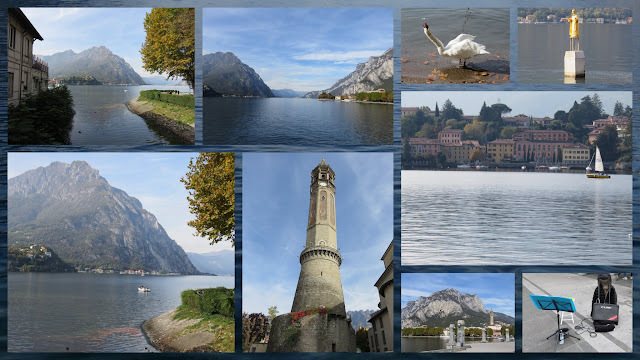 This day trip to Lecco is a relaxing break from the hustle and bustle of the weekend in Bergamo. 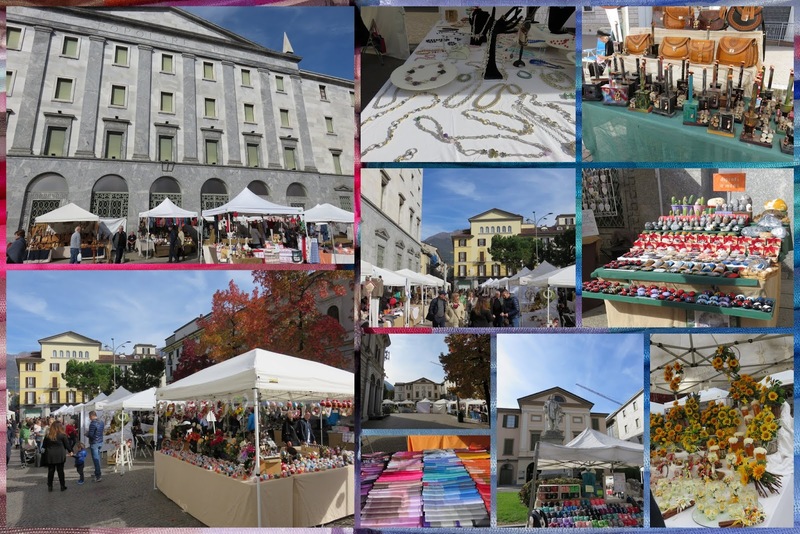 Have you also spent a weekend in Bergamo or are you considering making the trip? What would you recommend adding to our list? 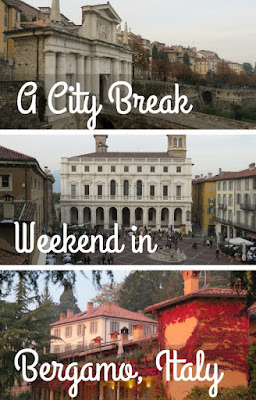 A Bergamo weekend is such an easy weekend city break from Dublin that we can always go back again! Have you considered other great city break destinations in Italy? 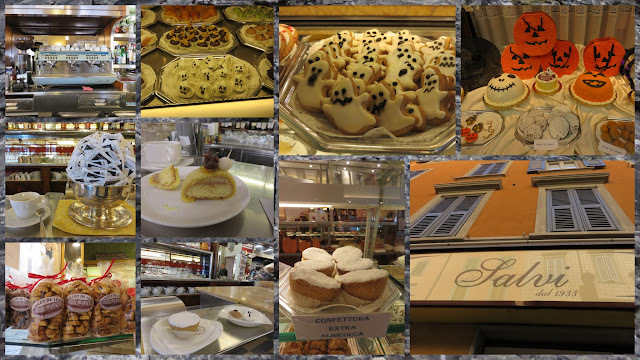 Why not spend 3 days in Trieste or discover things to do in Bologna? Spend a weekend in Bergamo. Take a Bergamo weekend and explore Italy on a short break. Discover things to do in Bergamo, Italy on a weekend city break. Check out Bergamo Citta Alta and get recommendations for where to eat in Bergamo.